How will I get to the airport/cruiseport and back? Every property where we book long-term, discounted airport parking reservations has a FREE shuttle that runs at regular intervals to the airport it serves. A free shuttle is provided to a cruise port only if 'cruise parking' is offered and booked at a specific location. Can I book a reservation on this site if I am staying at one of the hotels? Yes, however, a discounted parking reservation allows you one "in" and one "out" trip. If booking at one of the listed hotels, you are not entitled to go 'in' and 'out' more than once during your stay. What should I do if I didn't get my receipt? 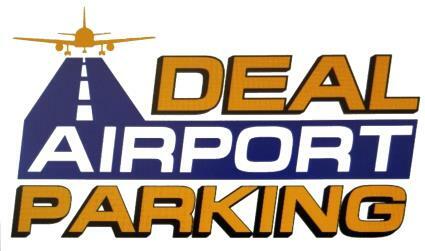 Please contact admin@simpleairportparking.com for assistance. Our customer service reps will help you. If you didn't receive your receipt, your transaction might have not been completed, your email address might have been typed incorrectly, or the receipt might have been blocked by your browser. Yes! Our website is SSL-encrypted. If you book parking on a tablet, mobile phone, or a PC/laptop, your transaction is safe. Please see our terms and conditions for more information. Do I have to stay at the hotel to book long-term parking there? Absolutely not! Through our site, you are saving money booking long-term parking at a safe, secure hotel property or parking lot. Is parking at these properties safe and secure? Yes, if parking at a hotel lot, your vehicle is as safe and secure as it would be if you were staying at the hotel. All private parking lots on our site are secure; most are open 24/7. Do I have to reserve in advance or can I pay at the property? In order to take advantage of the cheapest parking rates the property will allow, you must book in advance. If you pay upon arrival, you'll pay the normal parking rate offered at the hotel or parking property. How can I book with my out-of-country credit card? Please enter your card's billing POSTAL CODE. With your card number and your billing address POSTAL CODE, your reservation will be processed. Excellent Location! Loved this location. The hotel staff was friendly and helpful, the ease of parking and the amount of parking was perfect. The shuttle staff was very courteous and helpful. I may be travelling again soon and Pullman MIA will be my first choice to park.